On Thursday, Qualcomm launched a new mobile chipset under its Snapdragon 7-series. It is called the Snapdragon 712. The newly launched Snapdragon 712, as Qualcomm claims, is the new high-end SoC that succeeds the Snapdragon 710 SoC which powers phones like Oppo R17 Pro, Nokia 8.1 and the Xiaomi Mi 8 SE. 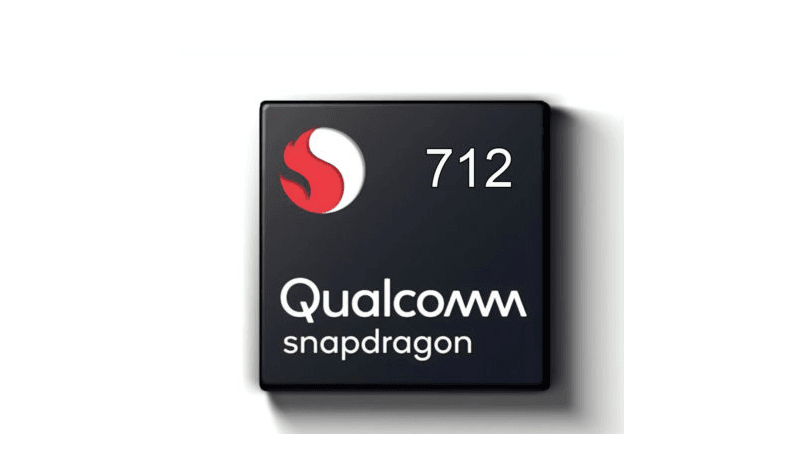 The new Snapdragon 712 SoC, as Qualcomm notes in the press release sent out to the media, brings some improved and advanced features like Quick Charge 4+ charging standard support. The chipset also comes with Qualcomm Aqstic audio technology, among other things. While announcing the Snapdragon 712, Qualcomm noted that the Qualcomm Snapdragon 712 Mobile Platform comes packed with all the “AI smarts and premium features of its predecessor, the Snapdragon 710 Mobile Platform”. The chipset also boosts performance and Qualcomm says that the Snapdragon 712 will make smartphones a powerhouse for gaming and beyond. “Our Snapdragon 7 Series is all about bringing premium features to more devices, and this latest offering is no different,” Qualcomm said in a press statement. Similar to the Snapdragon 710, the Snapdragon 712 is also built on a 10nm process and comes packed with multicore Qualcomm AI Engine which consists of Qualcomm Kryo 360 CPU, Qualcomm Adreno 616 GPU, and the Qualcomm Hexagon 685 DSP. Talking about the performance improvement with the next-gen processor Qualcomm says that the Snapdragon 712 offers up to a 10% increase in performance when compared to the previous generation Snapdragon 710. The new chipset reportedly provides “elevated multimedia and other mobile experiences” to the users. The chipset maker also claims that the Adreno 616 GPU is specifically designed to let users enjoy console-like gaming and cinematic movie experiences on their smartphones. The company asserts that the Snapdragon 710 is capable of rendering nearly 1 billion colour shades. The new chipset also comes with Qualcomm Aqstic audio technology which is claimed to deliver great sound quality and ensures to make the gaming experience better than ever before. The Snapdragon 712 comes integrated with X15 LTE Modem, which Qualcomm claims will let users connect quickly and enjoy lightning-fast speeds. Qualcomm also explains that Snapdragon 712 comes with smart and fast AI. The Snapdragon 712 is also engineered to optimise battery life. The Snapdragon 712 also comes with support for Qualcomm Quick Charge 4+ technology which promises to bring battery from 0 to 50% in just 15 minutes.